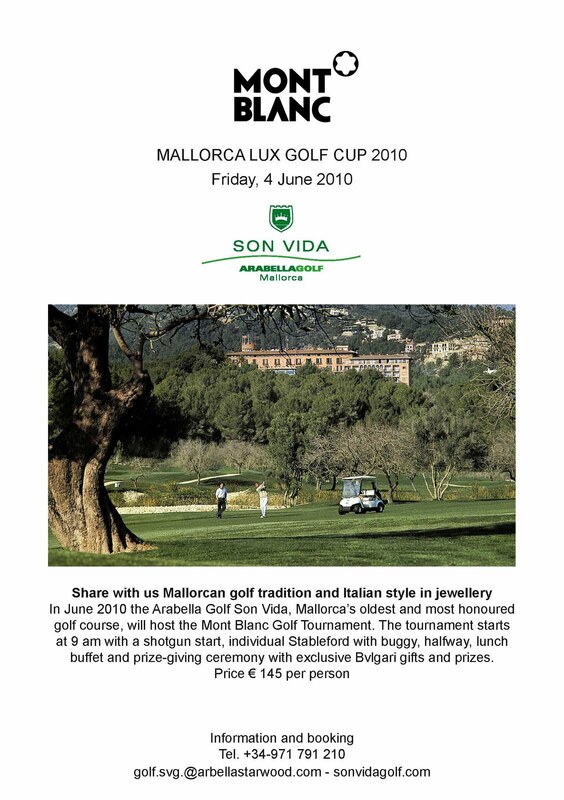 In June, one of the best golf courses in Majorca (Arabella Golf Son Vida) celebrates the Montblanc Golf Tournament. This tournament os open to subscription and will take place on Friday the 4th. The tournament price include all the day, starting at 9 and until price giving ceremony (Bvlgari prices are available for the winners).